My life with a banana stomach. I got this recipe from Shelly over at The World According to Eggface and adjusted it for my ingredients and my baking method. 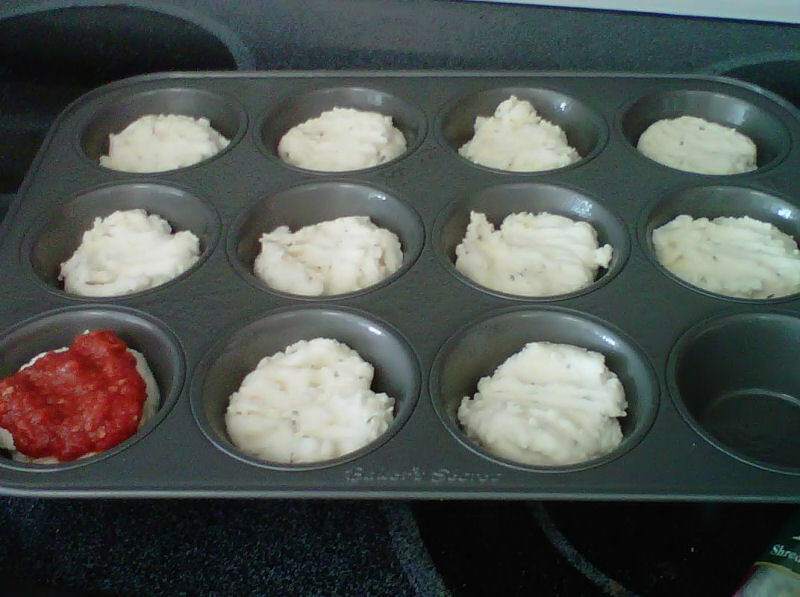 Instead of making it like a casserole, I divided the portions into a muffin tin to make it easier for me to keep track of an actual portion size. Right now, I can only eat one to one and a half portions at a time. This is a super easy recipe to make and fantastic if you are on a soft or mushy food phase post surgery. It’s delicious even if you haven’t had surgery, too. Pictures and recipe after the cut. Preheat oven to 450 degrees. 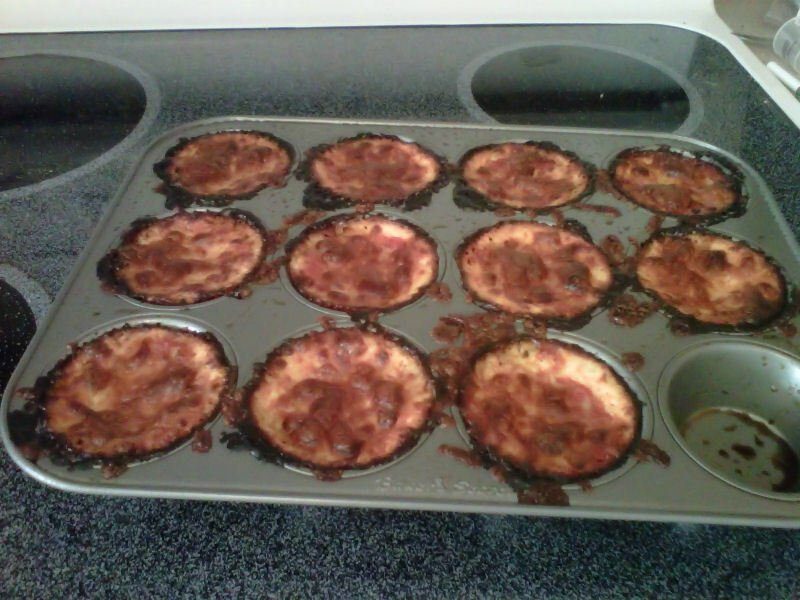 Lightly grease (Pam is fine) 1 regular muffin tin. Mix Ricotta, parmesan, beaten egg and spices in bowl. Divide mixture evenly into the muffin tin. I was able to put three tablespoons into each, ending up with eleven portions. 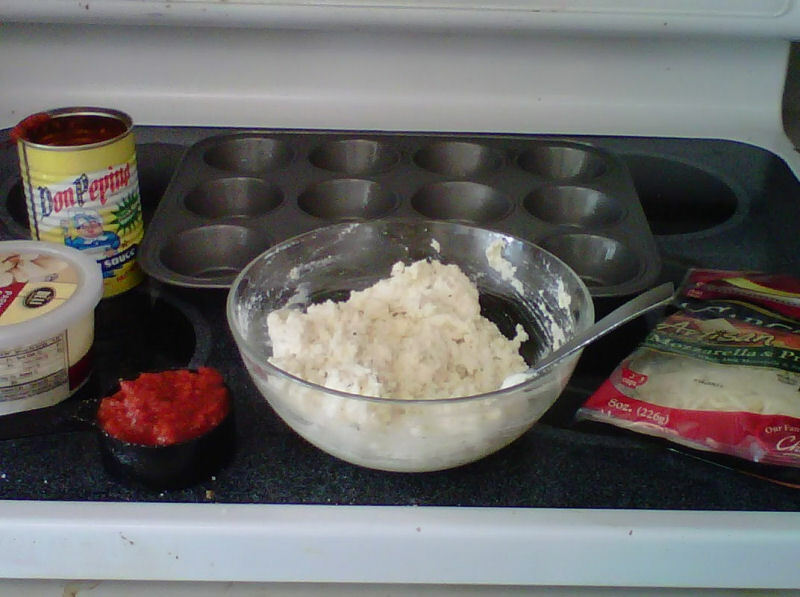 Spoon 1 tablespoon of the pizza sauce over each portion and sprinkle with the cheese. I love cheese and ended up using about 1 and a half cups over all. Bake at 450 degrees for 20 to 25 minutes. 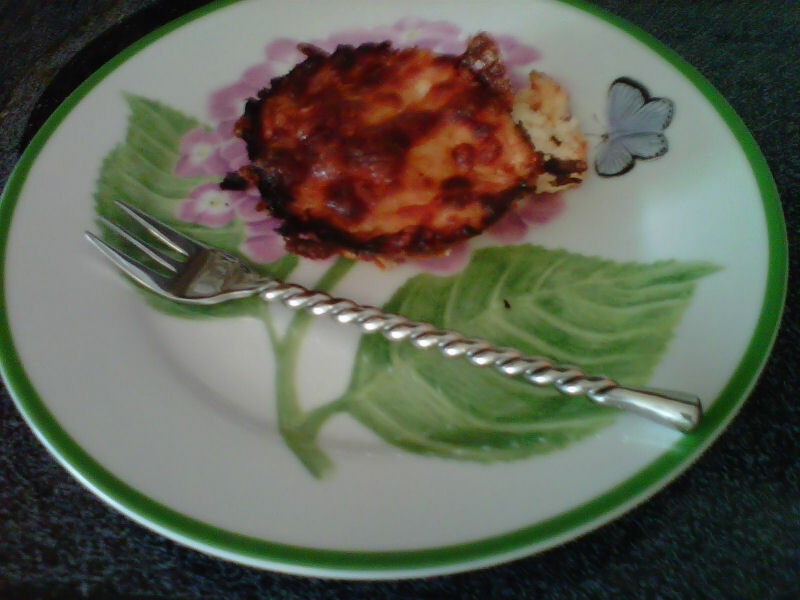 I put mine in for 23 and they came out nice and browned on top with really bubbly cheese. I probably could have cooked them for only 20 minutes and have it be fine, but this is how I like my cheese. Yeah! Something you can do for the kids as well if they like pepperoni. 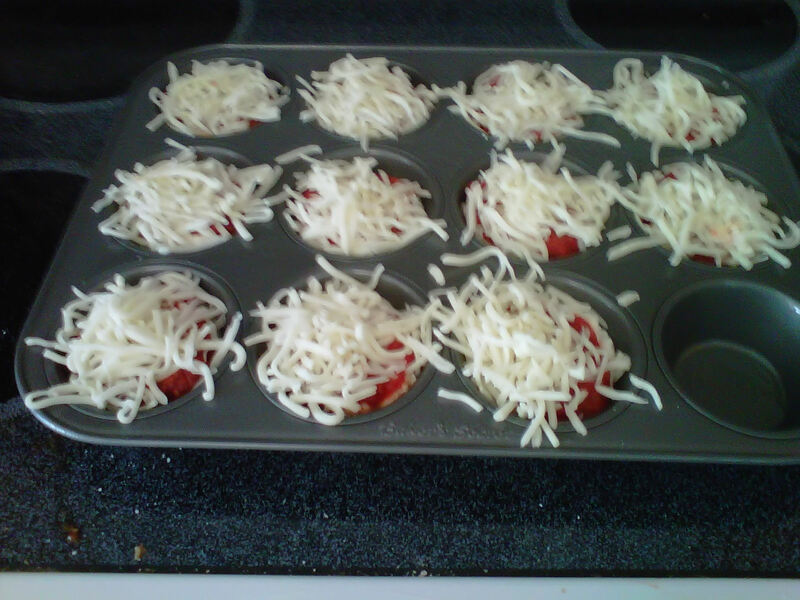 Buy the large sandwich size pepperoni, mold one into a muffin tin and fill with the cheese mixture and bake normally. Hubby and I used to do this pre-surgery with a different (but similar) recipe. It satisfied my pizza craving when I was low carbing it on my surgeon’s instructions. Thanks for posting this recipe. I ate one for breakfast and then dreamt about them the rest of the day.